Wireless mesh networks are an emerging technology right now. The use of mesh wireless networks may bring the dream of a seamlessly connected world into reality. Previously, it was thought to be near impossible to easily, effectively and wirelessly connect entire cities with inexpensive outdoor wifi technology. Wireless Mesh Networks allow municipals, large enterprises, campus wireless networks and more to achieve those goals. How Does a Wireless Mesh Network Work? While traditional networks rely on a small number of wired access points or wireless hotspots to connect users, a wireless mesh network spreads a network connection among dozens or even hundreds of wireless mesh nodes that "talk" to each other, sharing the network connection across a large area. Some think of the internet as being the world's largest mesh network. When using the internet, information travels by being bounced automatically from one router to the next until it reaches its destination. The internet has billions of potential paths across which data can travel. Using fewer wires means it costs less to set up the wireless mesh network. The wireless mesh network is used particularly for large areas of coverage. 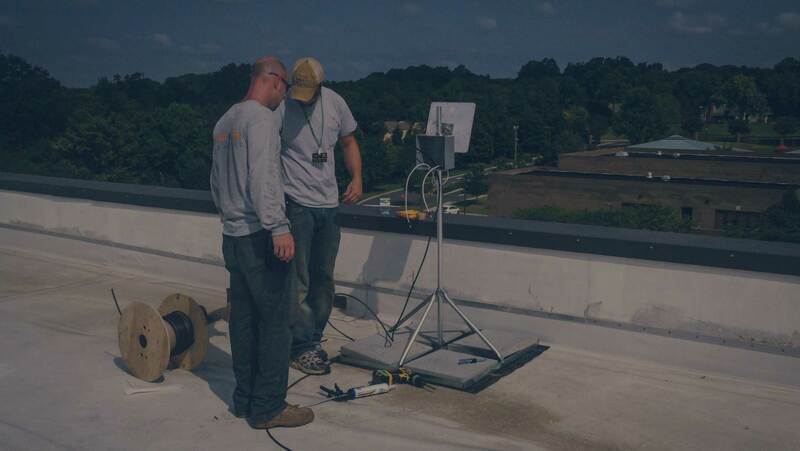 Using wireless mesh networks eliminate the cost and complexity of installing fiber / wires between buildings, on campus grounds and business parks. As more or less coverage is needed, wireless mesh nodes can be added or removed. Wireless Mesh is very useful for areas where there is lack of sight or where network configurations are intermittently blocked. An example of an area as this would be an amusement park where a Ferris wheel may occasionally block the signal from the wireless access point. With wireless mesh, adding more wireless mesh nodes will adjust to find a clear signal. Wireless Mesh is also extremely convenient where wall connections may be lacking, such as in outdoor environments, warehouses or transportation settings. Public Safety and emergency response demand wireless connectivity that supports coverage of large geographic areas, high speed mobility and high quality video surveillance. Wireless Mesh Networks are ideal to deliver high throughput and highly reliable wireless connectivity. Wireless Mesh Networks deliver both indoor and outdoor connectivity. Wireless Mesh is an instant, complete solution for covering large areas without sacrificing quality of the wireless network. 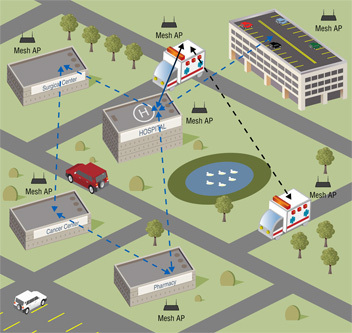 Wireless Mesh Networks are a reliable source of wireless connectivity for a variety of public safety applications, parking garages, campus grounds, schools, business parks, and other large outdoor facilities. Do you need a wireless mesh network? SecurEdge Networks can provide a Free Consultation for all your Wireless Mesh network needs. Contact us today for a free consultation. Next Post: How Much Does a School Wireless Network Cost vs. a Wired Network?